Stuxnet—which some experts consider the most advanced virus ever—appears to be focusing its attacks on Iranian nuclear plants. Now, the Pentagon and German intelligence are being accused of creating the virus to take down Iran's atomic facility. Stuxnet is the key for a very specific lock—in fact, there is only one lock in the world that it will open. The whole attack is not at all about stealing data but about manipulation of a specific industrial process at a specific moment in time. This is not generic. It is about destroying that process. Iranian news agencies are confirming that the attack is happening. According to the Mehr News Agency, however, the worm is "designed to transfer data about production lines from our industrial plants to (locations) outside of the country." 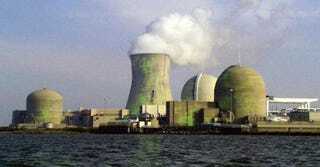 They claim that they are "successfully battling" this cyberattack, which may cripple the Bushehr nuclear plant. This plant—which is Russian-built but has Siemens computer systems—is allegedly being used to enrich uranium for the Iranian nuclear weapons program. Unlike some of the goofy Iranian weaponry, the international community considers Iran's atomic bomb ambitions as one of the biggest risks to world peace. The Pentagon is being accused of working with the friendly German intelligence services to create the Stuxnet virus. The Germans could have provided data about Siemens' computers, which could have been the key to develop the worm.